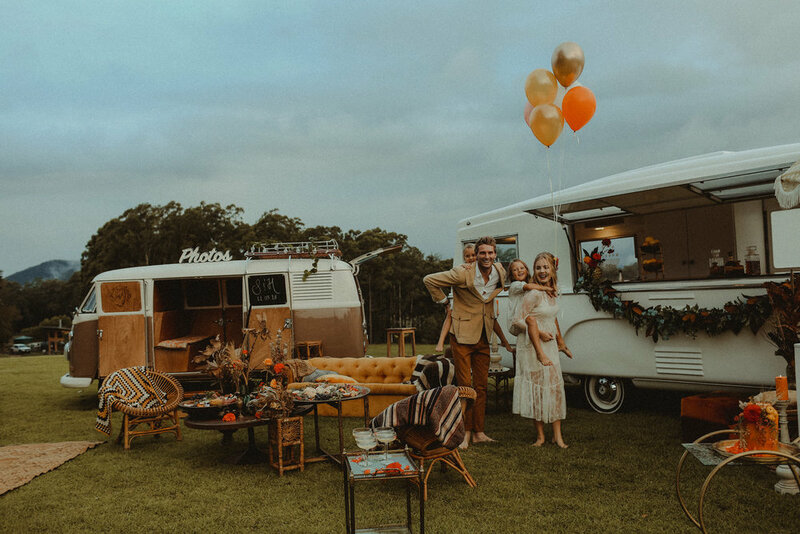 A mobile BYO caravan bar service and a unique vinyl DJ service to create a memorable retro experience. 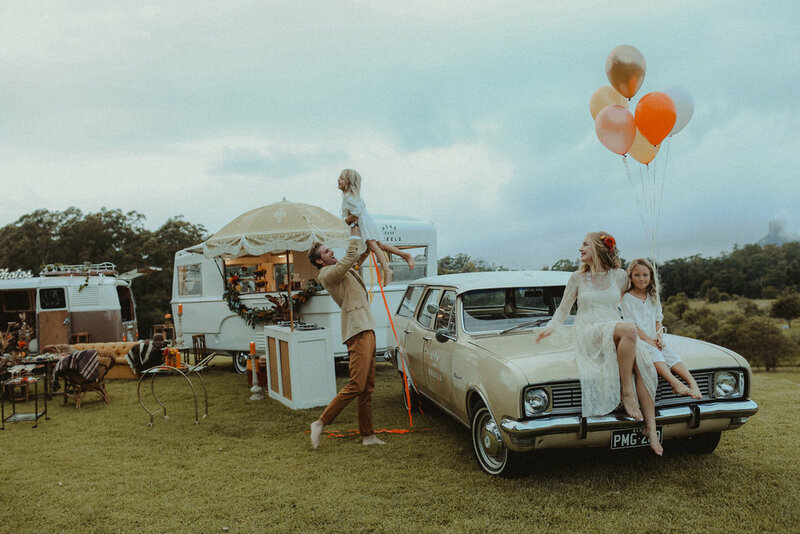 HEAD OVER WHEELS adds a fun and elegant old-fashioned vibe to any special event. 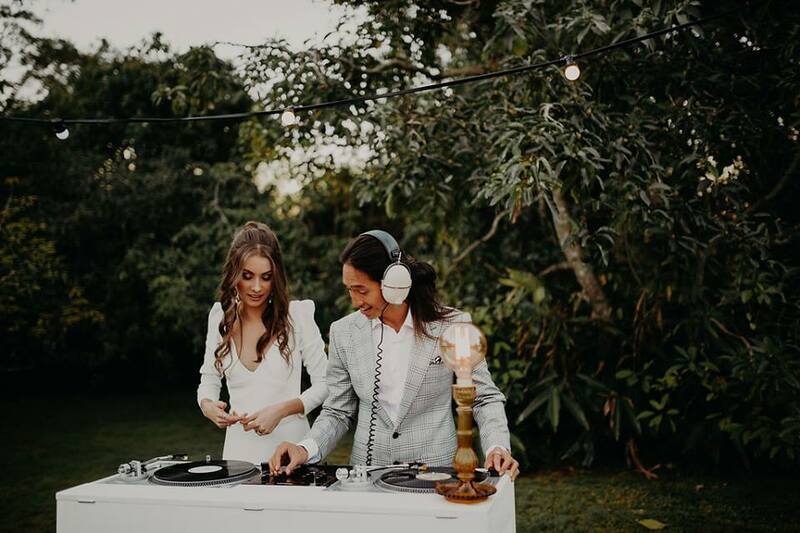 Are you organising a wedding? a private party? or even a corporate event? 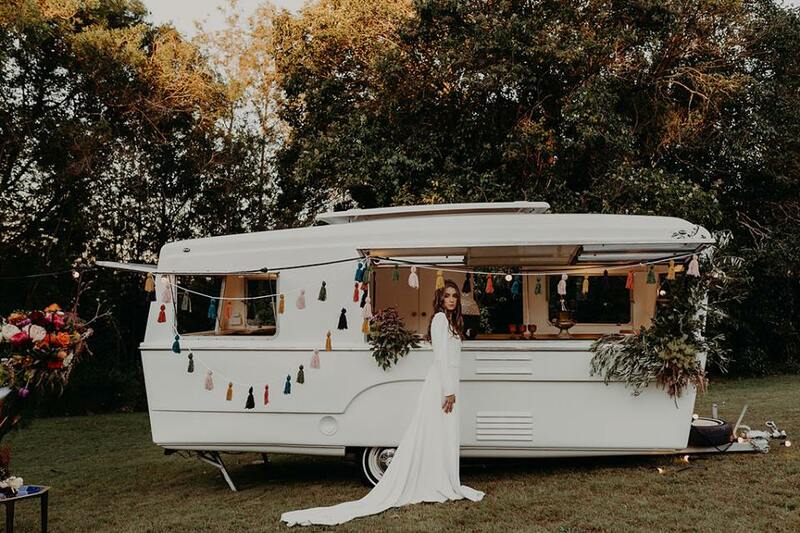 Our gorgeous mobile bar will offer incredible photo opportunities and lots of mingling, smiles and laughter! Our original 1969 Olympic Riviera caravan has been lovingly restored and fully equipped with everything that a great bar needs! Located on the Sunshine Coast, we travel from Byron Bay to Noosa and everywhere in between. We ensure to deliver a totally bespoke service to suit your event's requirements. HEAD OVER WHEELS was pretty much born the day we met. Let me explain this incredible story! I, Juliette, was traveling from France around Australia and Bartley was having a backyard party with some locals and a few foreigner friends. I decided to come along and this decision changed our lives in a way we could have never imagined! People were dancing to Bartley’s amazing record collection, a few couches and candles outside were creating a stylish and relaxing environment for people to chat. 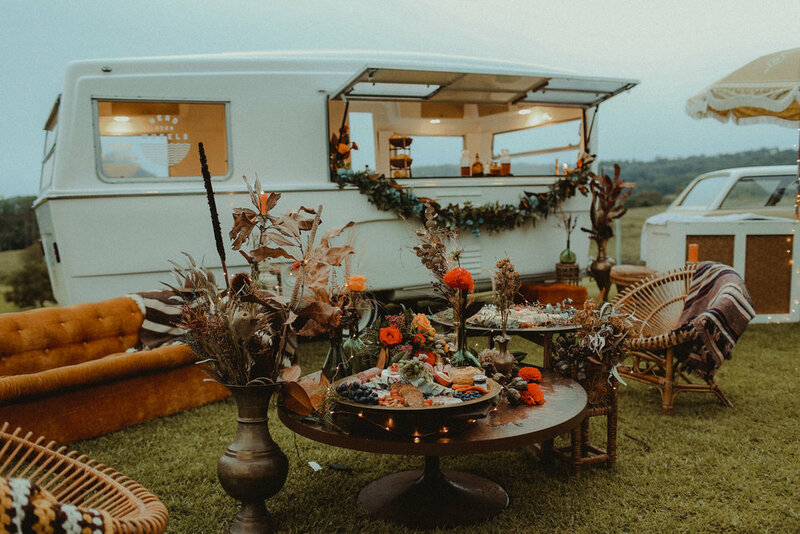 Bartley’s caravan, dressed up with festoon lights, was the centrepiece to this beautiful night, offering the perfect setting to enjoy a nice red wine while listening to some oldies, feeling like you’ve jumped back into the 60's. This night was the beginning of a roller coaster of crazy adventures. We then travelled, fell in love, shared our passion for all things retro, for music and more importantly, we shared our sense of hospitality! Our common interests brought us together and our differences brought HEAD OVER WHEELS to life! Bartley worked in the entertainment industry as a professional tap dancer, jazz drummer and vinyl DJ selector for almost 10 years. 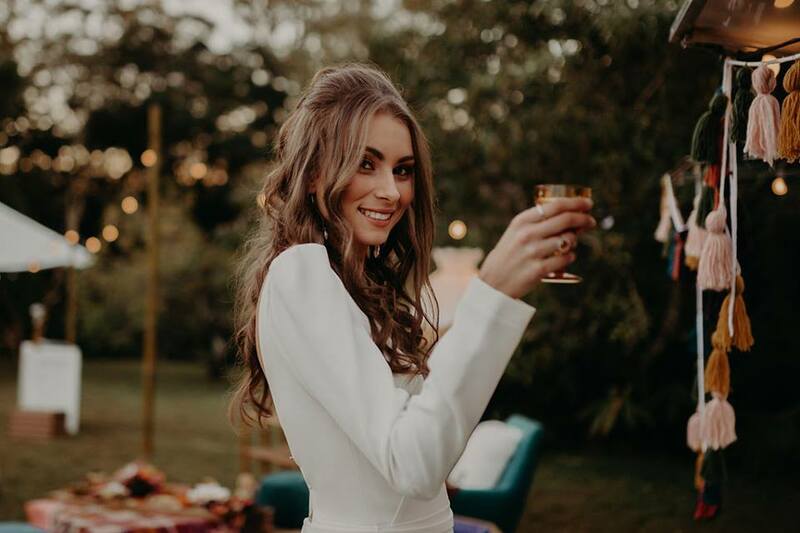 I, Juliette, have a marketing background and significant hospitality experience. Together, we are able to understand your needs, tailor our services and create your dream event. Head over Wheels is who we are. Deeply. Entirely. Sincerely. This is what we love the most and what we do the best. We bring smiles and create memories.